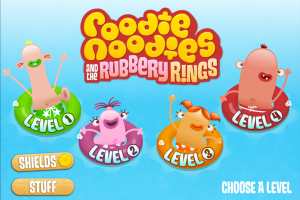 The Roodie Noodies, those finger-shaped, belly button tooting beachcombers, are back to Belly Button Bay in a second adventure: Roodie Noodies and the Rubbery Rings HD. 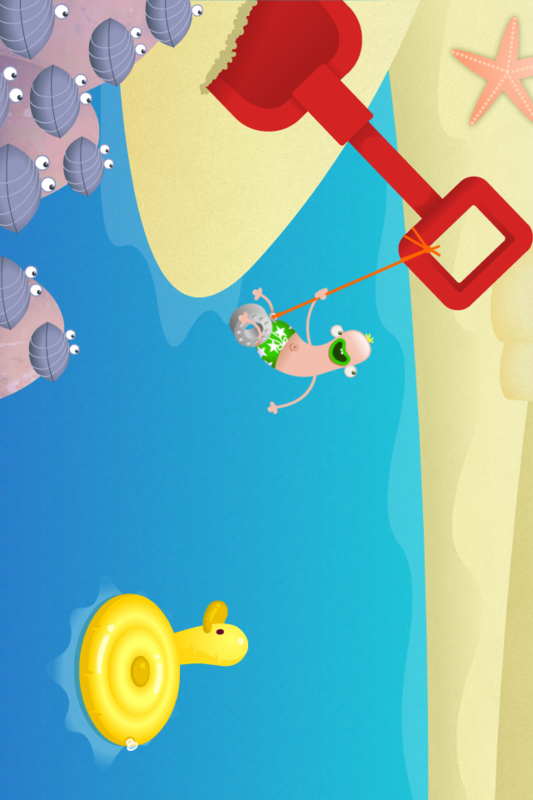 This time, the point of the game is to swing and bounce the Roodie Noodie over beach toys and sand sculptures to the final rubbery ring. There are four levels of play, one level per character, and any level can be accessed from the beginning, which is nice is one gets tired of playing Shoobie and would like to be Shellie for a while. 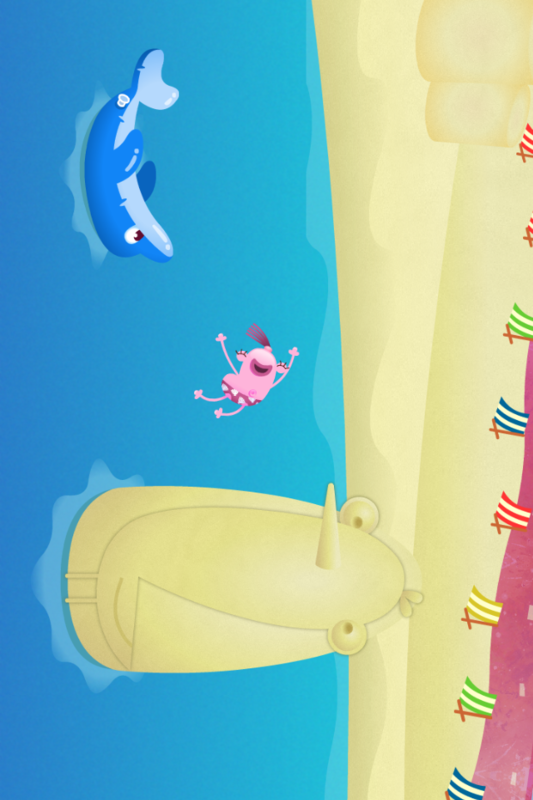 The art and animation is as bright, cheerful and fun as the first Roodie Noodie adventure. Shining sand, deep blue water and brightly colored water toys make a pleasant scene. 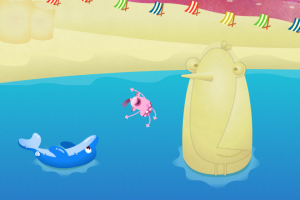 The swinging, bouncing and splashing animations are amusing and well polished. 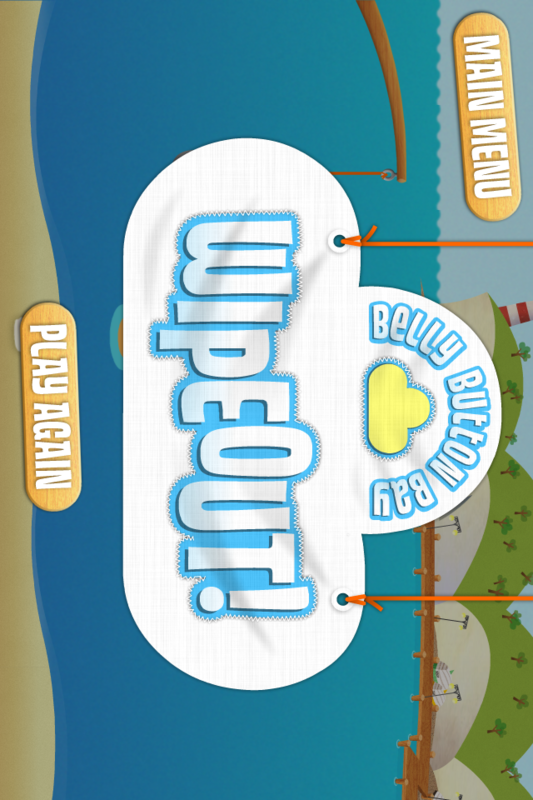 The trailer video is included in the options (“stuff”), and is the best part of the game. The music changes with casino online each level, but it is always a high energy pop-punk mix whose lyrics consist only of the name of the character one is playing. It”s amazing just how quickly “Shellllll-ie. Shellie, Shellie, Shellllllllllie” can become annoying. I turned the music off in the option, but it was back on every time I reopened the game. The other sounds, though, were great. The rubbery bounce and the water splash made me smile. I had high hopes for the Rubbery Rings, coming just four months after the success of the Slippery Pole, but I was disappointed. 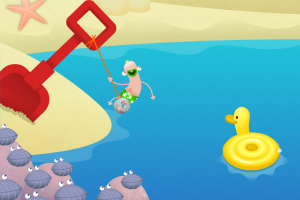 The gameplay is physics based, in the increasingly common “aim the right angle” variety; here the point is to swing the character the right angle, and he will hit the rubber toy and bounce the right height for the right length of time. Fail, and he splashes in the ocean. 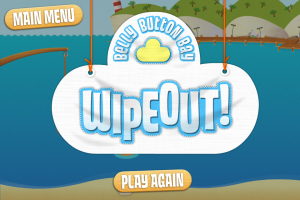 Only the briefest of tutorials was provided – instructions to tilt the device to make the character swing and touch the screen to make him drop. Unlike most of this genre, the Rubbery Rings does not provide any accurate way to aim, nor does it show the trajectory of the last attempt. The swing and drop felt more like a game of chance, not a game that takes any actual skill, and I found it frustrating on more occasions than I found it fun. I think the frequency of failures, the trial-and-error feel to the game and lack of plot will certainly hamper the enjoyment of the marketed audience, younger children. 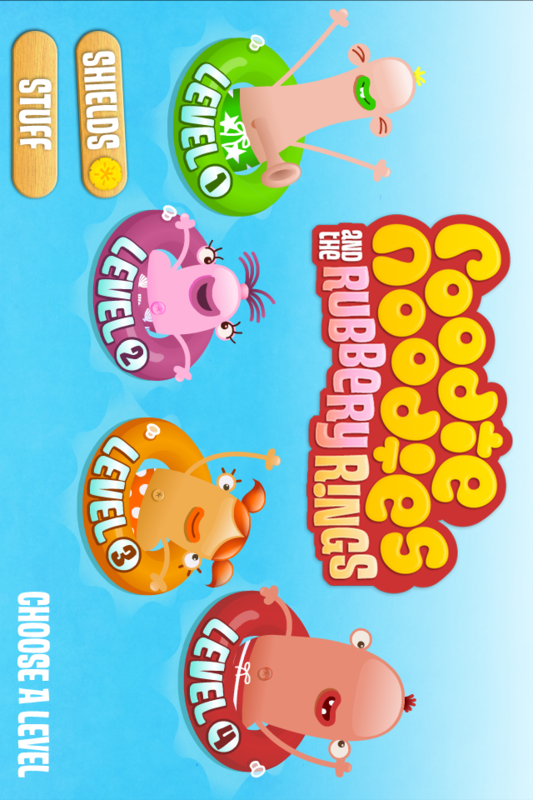 Bottom Line: Despite the great graphics and fun characters, the poorly constructed gameplay makes Roodie Noodies and the Rubbery Rings HD an average game, with nothing special to recommend it.